Employer branding is nothing new, but during the past few years it's significance has experienced a steep climb. In the past the employer brand might have been more tied to the overall brand of the company. However, when social media came along people started sharing. Nowadays maltreatment of a single employee can make a dent in one’s employer brand and banish potential employees. Although large multinational companies seldom have to worry about finding candidates, a bad employer brand can cause the best candidates, the ones that have options, to start avoiding the company. And in the long run, that can become a real problem. But a bad employer brand is not the only thing to avoid. Another thing to avoid is the lack of an employer brand. When you are recruiting, do your candidates have an idea of what it’s like to be working for you? Have your candidates said that they've heard great things about you, or that the content you are producing regarding your company culture is amazing? No? Then there might be something you should do about it. Are you having trouble finding enough good quality candidates? Then you can definitely benefit from a better employer brand! Companies with a great employer brand don’t need to go looking for candidates, but the candidates will present themselves. Need proof? Think about Google for example. According to advisory firm Universum, Google is the most attractive employer in the world for both business and engineering/IT students for the fourth year in a row. Yes, the technology industry is booming and the wages are high, but Google is not the only player on the field. So what makes Google so attractive compared to its competitors? One of the reasons is their employer brand. Google is modern, treats it’s employees and candidates well and produces great content. Nat and Friends is a personal YouTube channel, and it is a case example of how employee advocacy can help your employer brand. But a YouTube series is not the only way to do this. 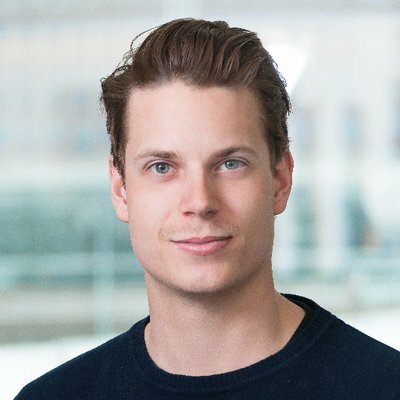 Google provides their employees 20% of their work time (though there has been debate whether this is really realizing) for projects of their own that they think will most benefit the company. In other words they allow open innovation and show that they trust their employees. And which employee would not like that? Another indicator of Google's superb employer brand is the fact that people are using their employer brand as an example of a good employer brand. "But we are not Google"
Of course it’s unrealistic to say that everyone should go for the extent that Google does. Having a monopoly market position and crazy margins means that they can put a lot of resources in enhancing their employer brand. But that does not mean that you should do nothing either. To build a strong employer brand you have to keep your employees happy. Being a great place to work is your cornerstone. But that is not enough. If no one knows about it, it has no value for the job seekers. So if your company is a great place to work at, tell and show it to people! Write blogs, create videos or build an Instagram presence and promote content you've created on your social media channels and your website. Make sure there is a story to tell! Organize an adventure day and take photos or record a video about it, or do something entirely different. Do what feels right for you. The key is to evoke feelings. You can't please everyone, so aim to produce content that is appealing to your target group or target groups. Your existing employees are a great resource here, since you are likely looking for similar people to join the team. So ask what's appealing to them. Getting people emotionally attached to your company will get you ahead. Companies and cultures are different, so there is no one-size-fits-all -solution. Great results can be achieved especially when your own people voluntarily promote you. So make sure that your company actually is a great place to work and that it's not just claiming to be one. Let's concentrate on video content for a moment. Anyone can produce a video or two, only by using their smartphone. What is the audience for these videos? The most desirable audience is people looking for a job. In addition to social media, a great place to reach potential job candidates by showing your employer branding videos is your career page. People visiting your career page are likely to be looking for a job and hopefully also consider you as a potential employer. To ensure them that you are the employer, the right content might just do the trick. 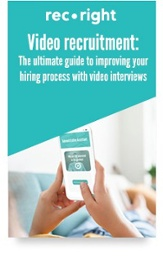 To do this, you can either embed a YouTube video or post a video via your recruiting system, if it has such a feature. What matters most is the story, not the production budget. A great story attracts people. It will enhance your chances of getting more views and more visibility in the form of shares on social media for example. To get you started, we have written a guide for a simple company culture video! So what are you waiting for? Start recording! If you are yet to use a recruiting system, we provide something you might be looking for. Learn abour our applicant tracking system here. We have also created a free downloadable employer branding handbook.